This volume is the first to address Foucault's influence and the potential of his work in the understanding and the writing of history. It does so critically and accessibly. Scholars from the United States, France and Italy, including historians, sociologists, an anthropogist and a philosopher, range over Foucault's writing - on love and the family in classical antiquity, the constitution of the self, the history of science and sexuality, to the origins of the liberal state. But, true to its subject, this book does not conceive of history divorced from philosophy: it explores how Foucault's understanding of the past relates to his ideas of truth, ethics, knowledge and action. All-in-all, the book offers a series of mind-opening perspectives on Foucault's work, on the past, and on the present. Jan Goldstein is Professor of Modern European History at the University of Chicago where she is also a member of the committee on the conceptual foundations of science. 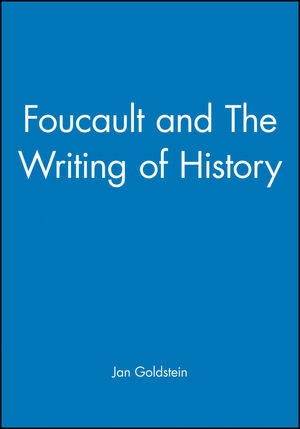 * This is the first book to assess Foucault's importance for the understanding and writing of history. * It ranges across the entire spectrum of Foucault's work - antiquity, genealogies of culture, the self and subject, madness, the state and sexuality.